Olia Box is a monthly subscription for jewelry. 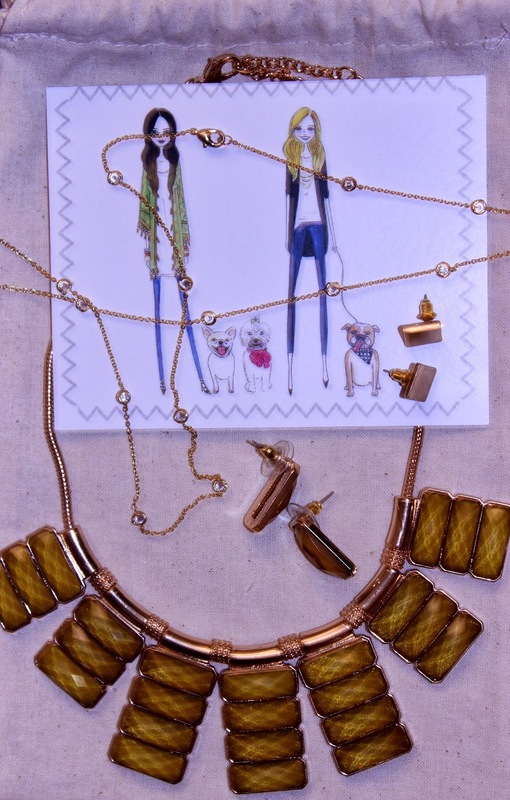 The stylists at Olia Box carefully select jewelry that would suite your personal style. This monthly subscription box comes in a recycled box and made with a canvas pouch that can be reused as a travel bag for your jewelry! Olia Box caters to the individual's personal taste. Each month you are sent 2-4 pieces of new jewelry, depending on which box you choose to subscribe to*; there's a box with 2-3 or 3-4. If you are not completely satisfied with the monthly selection, Olia Box will give you a 100% money back guarantee hassle-free return. The jewelry is very cute and up-to-date on the latest jewelry trends. Go check out Olia Box.com to see for yourself! OLIA BOX jewelry is for girls who love detail, fun, and are ready to create new outfits with each piece of jewelry! For $25 a month you receive 2-3 pieces of hand selected pieces varying from bracelets, necklaces, rings and earrings each month! For $35 a month you receive 3-4 pieces of hand selected pieces varying from bracelets, necklaces, rings and earrings each month! These prices include FREE Shipping and a MONEY BACK GUARANTEE. This is the first jewelry subscription box currently available with such an awesome customer satisfaction return policy! This is what I received in my first Olia Box! Closeup of the necklace-Olia Box. The square earrings and long necklace look so great together.